Anesthetic Dental - Paws 'n' Claws Veterinary Hospital, Inc.
Is your pet not a candidtae for an non-anesthetic dental cleaning? Does your pet have a tooth that requires an extraction? 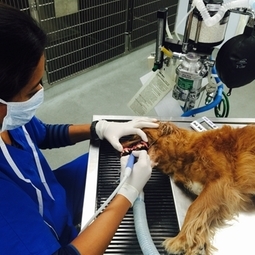 Our doctors are able to provide complete oral care for your canine or feline companion. Under well monitored anesthesia, patients are able to receive a thorough cleaning as well as having any bothersome teeth to be extracted. Good oral care is vital to maintaining your pet's health and well-being.